There’s charm in fashion, but painful at the same time. 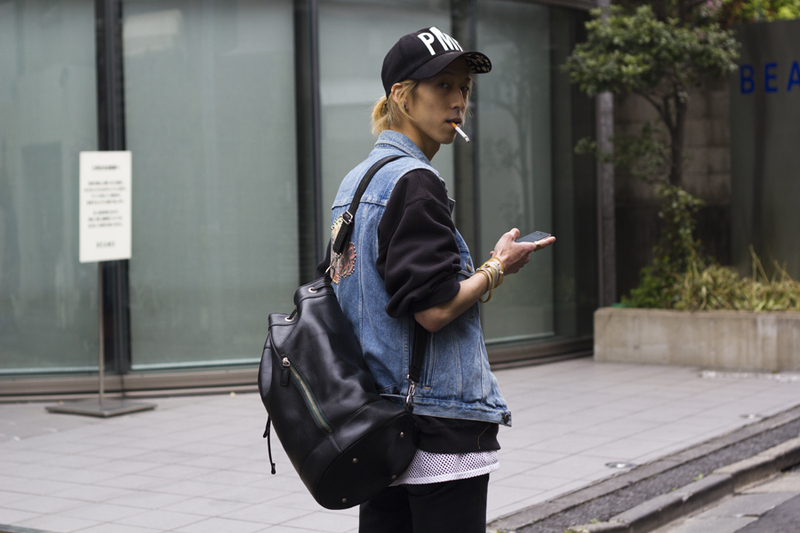 The guy works at BOY, Shibuya. Liking the clunky-ness of the oversized trainer and the roughly worn denim vest. It’s not the trend design, nor wearing his dyed blonde hair in a ponytail, and this style isn’t seen that much now. But the music, the camera, and the clothes inside of him can be felt just by looking. First of all, the way of using gilet and vest is confusing. Not just the way of saying, but pants and pants is pretty different in intonation. Once in six months, a new design comes out and blabbing that it’s the Tokyonow, but it is just the first part that’s strong. If the feeling and shape (which gets out quickly) explains it all, nobody will want to step in to fashion deeper. Be more inconsistent, loosen up, exaggerate your style, move yourself one step forward, and dream on! I believe there is squalid strength in fashion. The vintage clothing fits perfectly on her. She got the dress and the clutch bag at LUCY. And adds on a new “Kawaii” in the time that the person wearing is living now. The striped overalls and the cap are from FACETASM. The overall look maybe a must for this spring. The breath taking sakura’s fell, the news green leaves grow, and it deepens further. 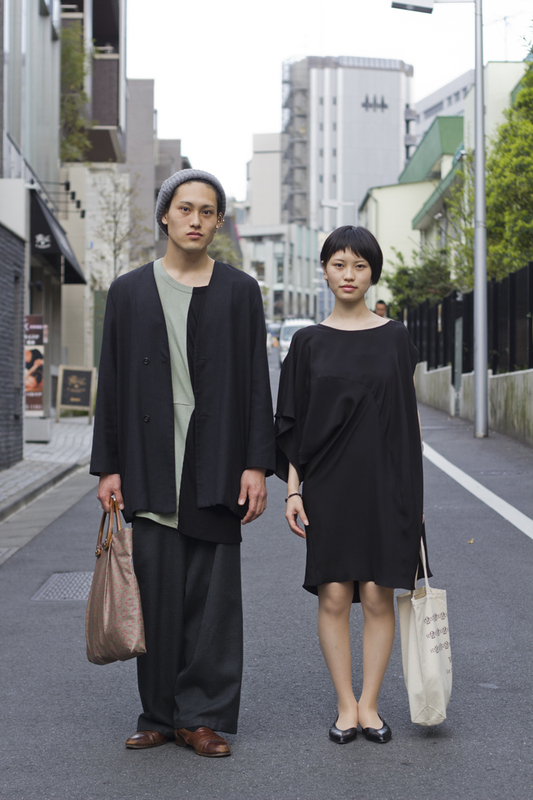 The no collar jacket, the silhouette as if it is sinking that he is wearing is used clothing. Her dress is from ka na ta H2X. The theme of it is water, and the flowing line of it explains it all. The cute mustard color dress that she is wearing is from TOGA. Her vivid yellow shades and earphones give an accent to the look. It was pretty warm this day, so she tied her leather jacket in her way around the waist. I was attracted to the mature gesture that she shows besides her innocent smile. 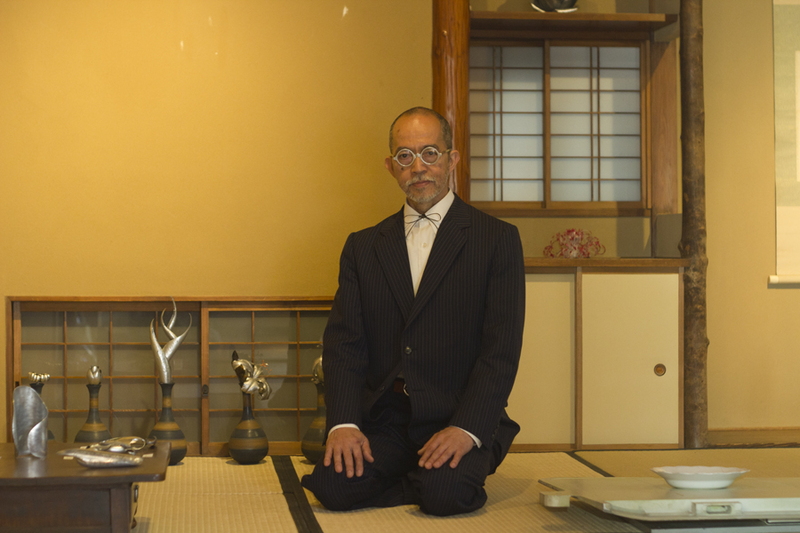 SHINJI NAKABA’s exhibition was held in Lucite Gallery, a little walk from Asakusa station. The gallery was remodeled from a residence of a famous singer from the good old Japanese days. because I was feeling more polite than usual. I move my feet softly feeling nervous towards what was waiting in the inner room. Welcomed by Mrs. Nakaba’s friendly voice, all the tense that I had before disappeared. and the tough part on how to polish the acryl that are used for his accessories. 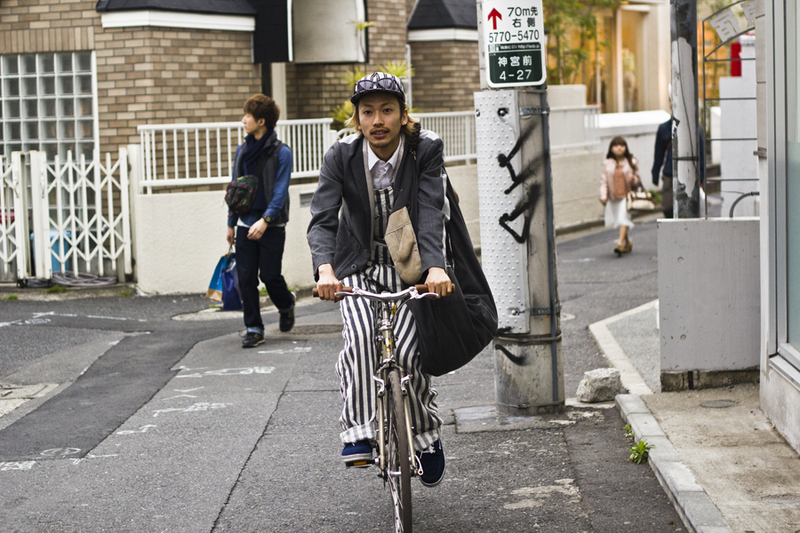 SHINJI NAKABA’s accessories are made from everyday material. That is the main concept, but that is not the only reason that his work is spectacular. and the love passes on to us: the dearest pathway of love. Long time no see,Harajuku street!! 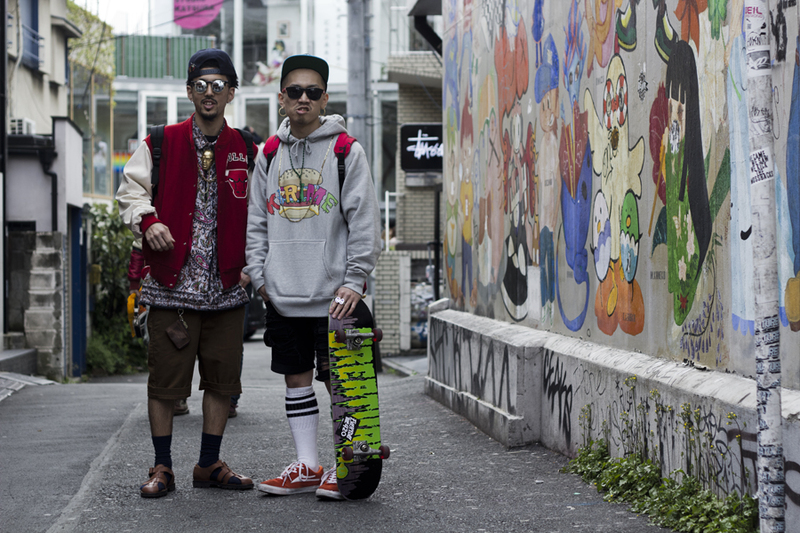 They are operator of street fashion brand. Knee socks and skateboard is so cool.